Lakewood has employment openings for service assistants in food services and guest services. This position is available to all ages but is perfect for school students because hours of service are generally outside of school hours and busiest in the summer months. Go to the employment page for more details. 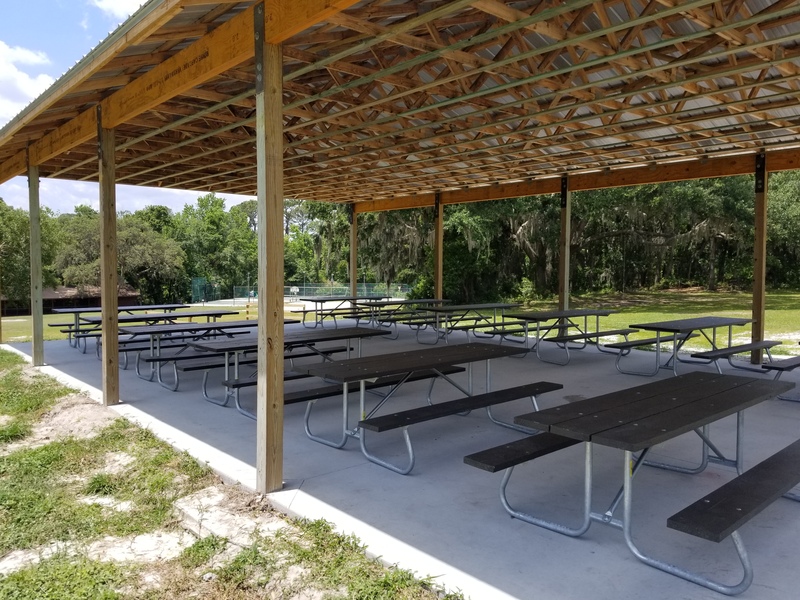 The new Pavilion at the activities area is open and available for day use groups with picnic table seating for 100 people. It may be used on a first come first serve basis or by reservation. There is no electricity or lighting under the 30' x 48' structure at this time. The GlideRide is available by guest group appointments only as it is now be a staffed activity. Policy changes for safety and accountability became necessary. Because of the staffing requirement, there is now a charge of $15/half-hour per group of any size. If there are a significant number of families camping, a sign-up for a general public group appointment may be available. Check with the front office for this possibility. We apologize that this has become necessary. Black out dates: Friday 3/22-Sunday 3/24 til 1:00 PM Lakewood is closed for an exclusive use group. Pool reserved: Friday 3/22 - Sunday 3/24 til 1:00 PM. Saturday 3/30 for 1 hour - time to be announced. Changes may occur on short notice. Call ahead to be sure pool is open. Annual Pass Club Members privileges are for immediate family members under one household (parents and live-at-home children). All season pass club guests must register their arrival by stopping in the office or calling the phone number posted at the gate or on the door before entry. Please be prepared to give your pass number and the number of people in your party when registering. Anyone entering the facility without registering is trespassing on private property. Please help us to know who is on the property for the protection of our guests and to protect your season pass value by following these instructions. Thank you and enjoy your time at Lakewood. >> Reminder << Modest swimwear is required. Bikinis are not allowed. Guys are to wear shirts when outside the pool area. Let's help keep our focus on the Lord. >> Cypress meeting room now has heavy wood frame plush chairs. These chairs take up much more space than our previous folding chairs, especially when stacked. Meals may no longer be eaten in Cypress and the chairs cannot be removed from the meeting room. If this change affects your group's plans please be sure to discuss with the office for solutions. >> Holiday Banquets: What better place to hold a holiday banquet for your church, ministry, or business? For only $12.95 per plate you will be treated to a delicious full course meal with linens and table service, and Christmas decor, all in a beautiful 135 acre setting. >> As a privately owned ministry, no one should be inside Lakewood's facility without first checking-in at the office. When the office is closed, a phone number is provided on the door for check in. Please help us keep our guests safe and property secure by always checking in before entry. Thank you for your partnership.